- Reconcile investment transactions and accounting for our demo portfolios using a state-of-the-art web-based system. - Assist in the successful completion, organization and delegation for prospect RFPs. - Deliver timely and accurate information regarding Financial Statements & Analytics Reporting. - Assist with critical research and preparation for sales visits. I work with the Business Scholars program to mentor students with classes, resumes, presentation, and writing skills. 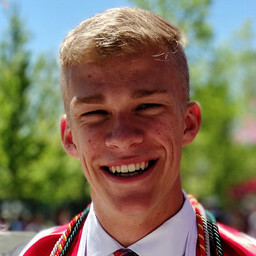 I am also an intern on the marketing and communications team at the David Eccles School of Business where I help produce content for our website in the form of blogs, podcasts, and videos. Further, event planning and executing are part of my responsibilities. Work with people of all different ages and skill sets empowering others through the vision of Chipotle. Demonstrate excellent work ethic and drive for success in a fast paced environment. Honors business student interested in venture capital, private equity, as well as startups and small business.